This week's review is the Region A Blu-ray 3D/DVD/Digital Copy release of the 2011 film "Conan the Barbarian", directed by Marcus Nispel, starring Jason Momoa, Ron Perlman, Rose McGowan, and 100% less Arnold than the 1980's version. Today we have an upbeat 3D music video from Italy, Henry B's "The Way". Directed by Edoardo Bellanti & Alice Corsi, produced by Wonderland Production. Bleeding Heart Industries released a 3D trailer for their award-winning stop motion short film "Skeleton Girl" today. The short is currently working the festival circuit. For more screening info, behind the scenes and more, check out the Skeleton Girl website. This week we review 3D Bikini Beach Babes issues 2-4. 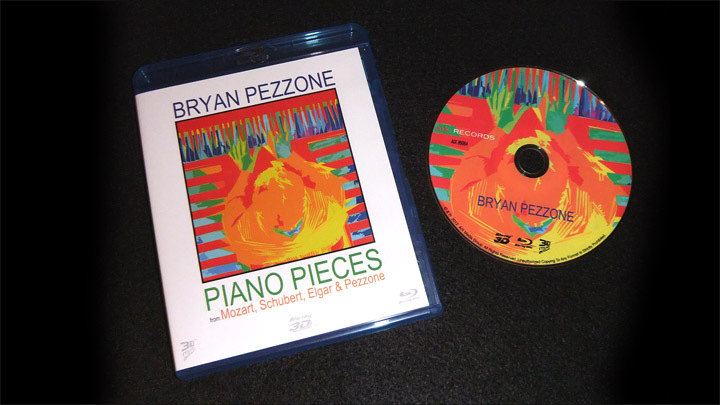 Up for review this week is Bryan Pezzone's Piano Pieces from Mozart, Elgar and Pezzone. You may have seen our post a while back about the tags for YouTube's 3D player. A few months ago, YouTube updated their video uploader so you can now set your video to be 3D via the Advanced Settings while uploading. Today's video walks you through the simple steps to share your 3D video with the world. Narrative 3D short films on YouTube are few and far between, but we've found a new one for you, the half-hour long "Forever Canon" aka 永遠のカノン, written/directed/shot/edited by Hideki Sakurai. The film is a cute love story following a young Japanese couple, as recalled by the husband waiting in a hospital. The Japanese subtitles take on a life of their own, carefully animated and spaced in 3D space to reflect the emotions of the characters, enhance the humor, and help to keep it visually engaging. The film takes a delightfully surreal turn in the last act, make sure you watch it all the way through. The characters and story are all engaging enough to keep you entertained for half an hour - never an easy task for a short film. This week we review Captain America: The First Avenger 3D - Blu-ray 3D/Blu-ray/DVD combo pack, one of the Marvel Studios films.